In this week’s edition, we take a pause from our normal price movement analysis and latest news development recap to pause and reflect on what it means for bitcoin to be almost ten years old. That’s ten years without a single pause in network uptime, ten years without a hack or attack on the Bitcoin Network that brought it to its knees, and ten years of a financial revolution that has brought about some major transformations in how the world sees money; how it can be used, stored, and controlled. Though 2018 has not been particularly kind to the price of bitcoin, its ten years of success are surely something to be celebrated, so let’s recap some of the great moments in the history of bitcoin and take a few minutes to remember how and why it all came about in the first place. The domain name bitcoin.org was registered on August 18, 2008, amidst a great downturn in the stock market and just months prior to the beginning of the Great Recession. The housing market was already poised to collapse, and it was all but certain that it had been fueled by a speculation bubble 3 years in the making. Loose financial policies set forth by easy money-seeking bankers and housing lenders helped create an atmosphere of greed, with little worry for the consequences of their actions. This would all come tumbling down with the collapse of Lehman Brothers, who filed for bankruptcy on September 15th, 2008. Surprisingly, it would not be the bankers who paid for their actions, but rather the millions of ordinary Americans plunged into debt by faulty financial products, their 401k plans crippled by tremendous stock devaluations and their faith in the banking industry shattered. “Bitcoin is a new design for a fully peer-to-peer electronic cash system. A C++ implementation is under development for release as an open source project. Its hard to say whether or not Satoshi knew just exactly how much harder bitcoin mining difficulty would become. If the idea never caught on, perhaps mining difficulty would have remained relatively low, but the fact is he correctly predicted it would become “a lot” harder. Trillions of times harder, in fact. While the Genesis Block of the Bitcoin Network was not created until early January 2009, the steps for its launch had been taken in the last months of 2008, now over ten years ago. Since then, it has enjoyed some tremendous milestones that have helped it far surpass any previous attempt to create a digital currency, and all other cryptocurrencies that have followed in its footsteps. August 18th, 2008 – Bitcoin.org domain name registered, presumably by Satoshi Nakamoto. January 3rd, 2009 – The Genesis Block, otherwise known as block #0, is minted and the Bitcoin Network rolls into existence, non-interrupted all the way to present day. February 11th, 2009 – Satoshi Nakamoto posts a description of Bitcoin and a link to its whitepaper on the P2P Foundation web forum, the first public announcement of its existence. November 23rd, 2009 – Satoshi welcomes guests to his new Bitcoin Forum, which would prove to be the gathering spot where developers from all around the world could come exchange ideas with one another. May 18th, 2010 – Early bitcoin miner and developer Laszlo Hanyecz offers 10,000 BTC for 2 pizzas in the first real-world usage of bitcoin. 10,000 BTC was worth approximately $41 at the time, according to bitcoin’s only exchange in operation on that date, making 1 BTC worth about $0.0041, or less than half a penny. (An interesting side note is that Laszlo’s offer went unanswered for 3 days before he could find a taker, causing him to be worried that his offer was too low). August 18th, 2010 – BTC opens trading on its first major exchange, at $0.0074 per coin. December 14th, 2010 – Satoshi pens his last post on the Bitcointalk Forum and disappears from the public eye. February 10th, 2011 – the price of BTC reaches $1.00 a coin for the first time. Silk Road homepage screenshot c. 2012. 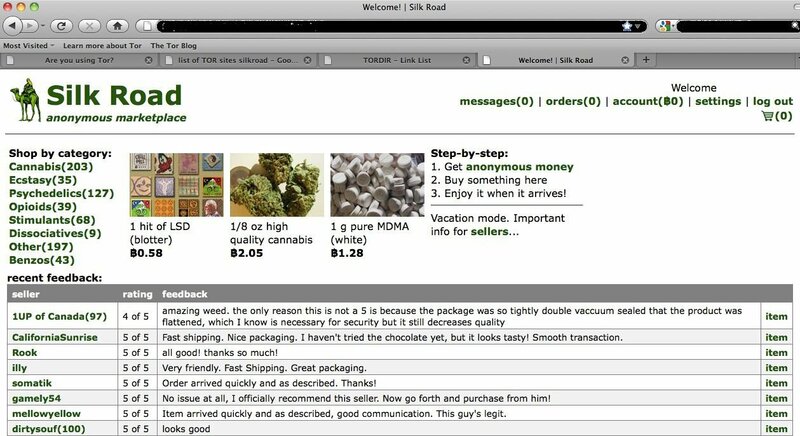 February 25th, 2011 – Ross Ulbricht opens Silk Road, the first bitcoin darknet marketplace. Ulbricht served as almost all positions during Silk Road’s 2 years in existence, serving as moderator, treasurer, seller and acting CEO, until his arrest in October 2013. Though its products and services are regarded as largely dubious and criminal in nature, it is the first widely used market to employ bitcoin as its main currency. June 1st, 2011 – the price of BTC reaches $10.00 for the first time. It sinks back to $5 by the year’s end. June 14th, 2011 – after its donor accounts were cancelled by PayPal and major credit cards, controversial whistleblower data sharing organization Wikileaks announces it will begin accepting anonymous donations in the form of bitcoin. September 24th, 2012 – the total number of bitcoins in circulation surpasses 10 million. March 21st, 2013 – the market capitalization value of bitcoin (the combined worth of all bitcoins) surpasses $1 billion for the first time. April 1st, 2013 – the price of BTC reaches $100.00 for the first time. October 25th, 2013 – the total revenue of miners (total value of bitcoin block rewards and transaction fees paid to miners) surpasses $1 million. November 26th, 2013 – the market capitalization value of bitcoin surpasses $10 billion for the first time. December 1st, 2013 – the price of BTC reaches $1,000 for the first time. February 7th, 2014 – the world’s biggest bitcoin exchange, MtGOX, suspends bitcoin withdrawals, soon after citing “security concerns” as the reason behind their decision. 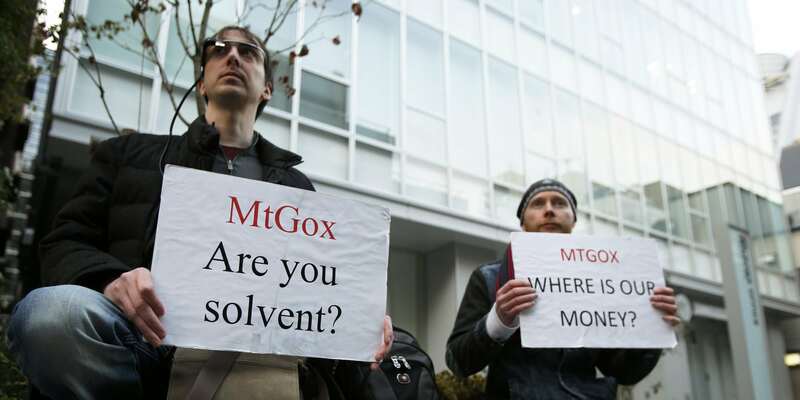 Weeks later it is revealed that MtGOX was insolvent and that 750,000 user bitcoins had gone missing months or even years earlier, causing the price of bitcoin to plummet 36% in less than 4 weeks time. March 6th, 2014 – California resident Dorian Nakamoto is mistakenly outed by Newsweek as bitcoin’s inventor, Satoshi Nakamoto. Newsweek quickly retracts the story, saying that it had been reported in error. February 8th, 2015 – Silk Road mastermind Ross Ulbricht is found guilty of all 7 charges brought against him, including computer hacking, drug trafficking and running a criminal enterprise. He is sentenced to life in prison without he possibility of parole. October 27th, 2016 – Bitcoin Core version 0.13.1 is released to the public, containing activation parameters for the SegWit (Segregated Witness) soft fork. SegWit serves to shorten the bytes consumed by each bitcoin transaction, meaning more transactions can be squeezed in per block, thus helping the network process more transactions at a faster pace. July 21st, 2017 – SegWit activation is locked in by miners signaling support for its implementation, activating on August 23rd, 2017. October 15th, 2017 – the average daily transactions of BTC in USD surpasses $1 billion for the first time. October 29th, 2017 – the market cap of bitcoin reaches $100 billion for the first time. November 30th, 2017 – the price of BTC reaches $10,000 for the first time. December 1st, 2017 – the average daily volume of bitcoin transactions surpasses 400,000 for the first time. December 17th, 2017 – the price of BTC reaches an all-time high of $19,783.06, stopping just short of surpassing the $20,000 mark. January 18th, 2018 – up to 60 nodes begin running the Lightning Network, designed to allow bitcoin transactions to take place off-chain. This brings a massive degree of scalability to the Bitcoin Network as transactions can now be performed without having to be confirmed by miners. August 1st, 2018 – the hash rate for the Bitcoin Network surpasses 50 exahashes, or 50,000,000 trillion hashes, per second, putting it on par with some of the world’s biggest supercomputers. September 8th, 2018 – the Bitcoin Network mining difficulty reaches a staggering 7 trillion. October 1st, 2018 – the number of registered users on Satoshi Nakamoto’s Bitcoin Forum, bitcointalk.org, stands at over 2.4 million, with Reddit’s /r/Bitcoin channel having 943,000 subscribers. Though its price has waned, its attention in the media seemingly has not, as bitcoin analysts flood the airwaves of financial media outlets (such as CNBC and CNN) on an hourly basis. Bitcoin bulls continue to search for signs of rally before the close of 2018, as CNBC talking head Tom Lee proposes 2 catalysts that could still potentially drive the price of BTC higher in the next 3 months. On the other side of the equation, bitcoin bears are keeping an eye on the $6,300 mark as a “make or break” level for BTC’s continued upward momentum. What is the actual supply of bitcoin? To date, almost 17.3 million bitcoins of the total 21 million to be minted have already been mined. But a new report from blockchain analytics company Chainalysis puts the actual number of bitcoins in circulation at a far lower figure, estimating that 36% of the present supply of bitcoin has already been lost or is now irrecoverable, with an additional 23% held by long-term speculators, some of which who may very well never move their stash. Following the steps of Facebook, Google seems to be loosening its tight restrictions on cryptocurrency advertisements, agreeing to let certain categories of cryptocurrency advertisements run on its search platform. A new type of crypto scam has been reported as fake soccer (football) tickets are being sold anonymously to buyers, with little hope in sight for recovery of funds lost by those duped into the latest scheme. Over $60 million in BTC were hacked from Japan’s Zaif exchange, furthering federal regulator fears of approving future cryptocurrency exchanges in the country, which is already reeling from the negative effects of previous hacks within recent years, and which is also home to MtGOX, who suffered the biggest crypto exchange hacking-induced bankruptcy of all-time in 2014. Host to bitcoin conferences that draw thousands from around the world, the country of Malta is quickly becoming a hotspot for cryptocurrency, thanks to its liberal attitudes regarding its regulation, even getting support from their prime minister, who predicts an “inevitable” rise of bitcoin over the next few years. Add Nobel Prize winners to the list of those endorsing the crypto revolution as a CryptoNews story last week laid out in detail how several of such distinguished minds are flocking to crypto startup companies, seeing the future potential of the blockchain as a solution to many world problems. A recently published YouTube video lays out the evidence for how it was possible to buy something as simple as a sandwich (even though it was an expensive sandwich) using bitcoin’s Lightning Network, hopefully putting to rest doubts about its authenticity or even practice being in existence. Thanks to the Lightning Network’s extraordinarily fast transaction speeds and low transaction fees, next up could very well be coffee, newspapers, or perhaps someday, even fast food.